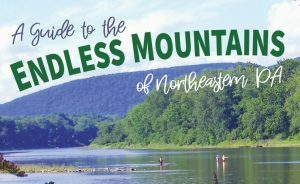 The Endless Mountains Visitors Bureau has announced the release of its 2019 Guide to the Endless Mountains. 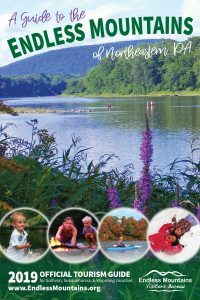 The 64-page color booklet is an informational guide to the Endless Mountains Region of Northeastern Pennsylvania, covering everything from where to stay and dine to what to see and do in Sullivan, Susquehanna, and Wyoming counties. The category-based layout makes information on activities, lodgings, shops, eateries, scenic sites, and businesses easy to find. In the guide, the reader will find where local museums, monuments, and historic sites can be found. It also points out breathtaking scenic vistas and overlooks, as well as where to enrich the mind through art exhibits, music, and theater performances. There is also a variety of recreational opportunities listed including biking, hiking, hunting, fishing, canoeing, golfing, and skiing. The annual events section is a collection of fun things happening in the Endless Mountains, while the community resources section assists in finding businesses or organizations in the area when needed. The event venue and resource sections make this piece great for planning a destination wedding, family reunion, or business retreat. The guide also includes the winning photos from the 2018 Endless Mountains Visitors Bureau Photo Contest, as well as information on how to enter the 2019 photo contest, which is open for submissions Jan. 1 through Sept. 30, 2019. 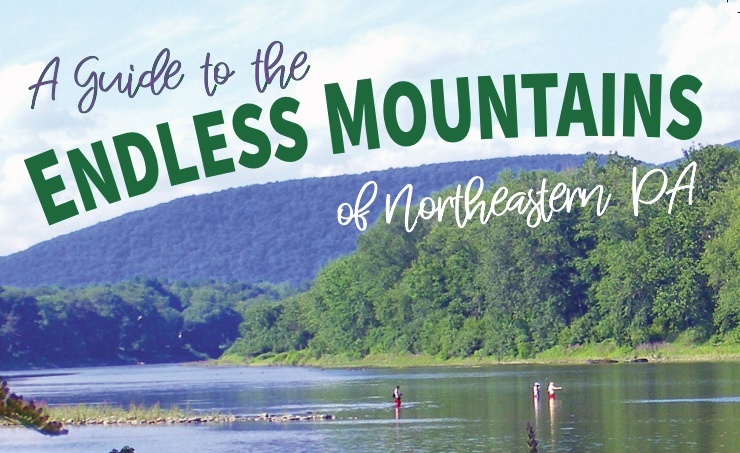 To receive a free copy of the Guide to the Endless Mountains, call the bureau at 570-836-5431 or 800-769-8999, email info@endlessmountains.org, or stop by the bureau at 5405 State Route 6, Tunkhannock. 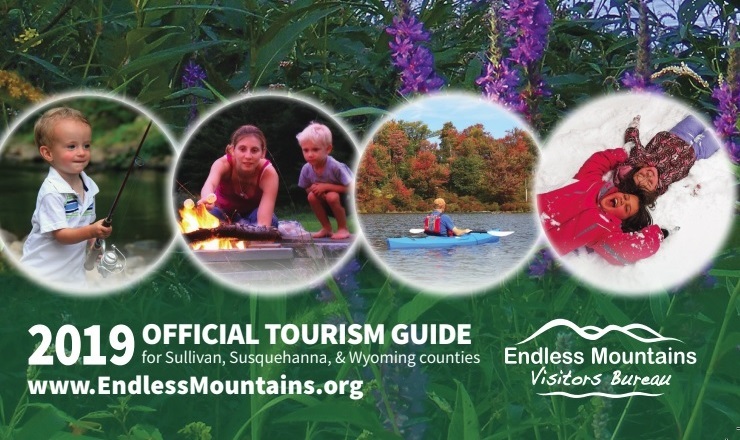 The Endless Mountains Visitors Bureau is the designated tourism promotion agency for Sullivan, Susquehanna, and Wyoming counties.